People who knows me, knows that I have this "mad love" for Japan although I have never been there yet (I will! Soon with kareshi!! I hope..). So in order to tame my crazy love towards Japan, I have to sort my way out. How? By reading Cheesie's blog. All her Japan post will help relief the urge of mine. Besides that? It will be Japanese drama & anime. Both are my all time favourite! Honestly don't like draggy, long winded dramas like Taiwan's and some Korean's. And Recently, I had just discover a Cure to my Japan mad love. 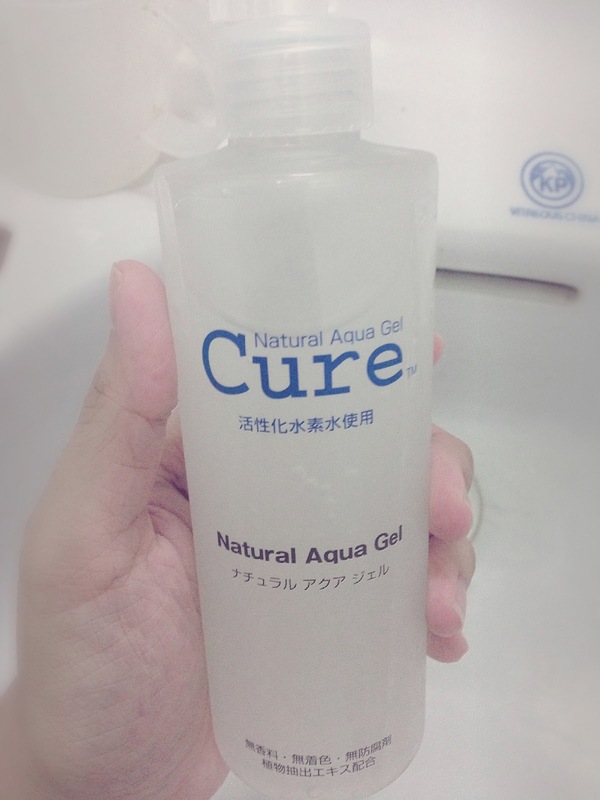 Cure from Japan- Cure Natural Aqua Gel. I am proud to say that almost all My skin care and makeup products are Japan brands (only a few are others) such as Shiseido, hada labo, Shu Uemura, kiss me, Kanebo and many many more! Cure is my new addiction to my pile of skin care (I honestly have a lot!) Trying my best to finish the clutter one by one now because skin care are not suppose to be kept for too long. Okay, Imma back to Cure and not my pile. 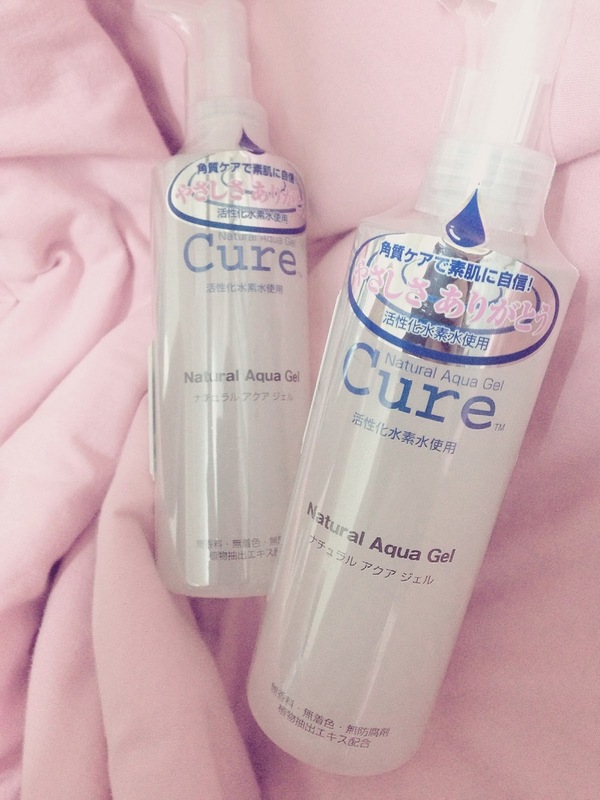 Natural Aqua Gel Cure is a fragrance-free, color free and preservative free product made from 90% activated hydrogen water that prevents oxidation and it contains natural plant extracts from aloe Vera, gingko, and rosemary. Unlike general chemical peeling that uses strong acids (approx. pH1.3) to dissolve protein. 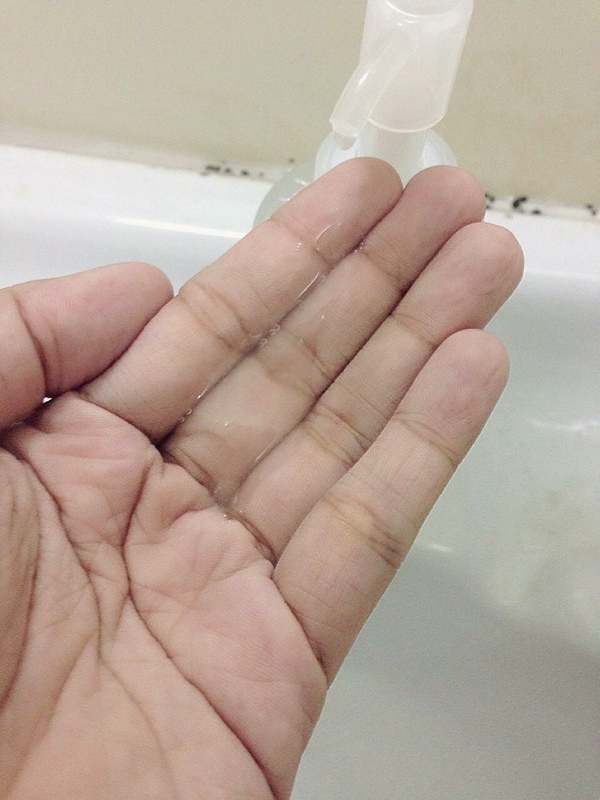 Cure gently catches waste dead skin on surface of skin and remove it. It helps your skin metabolism function better. Me and Cure. Let's get it started! 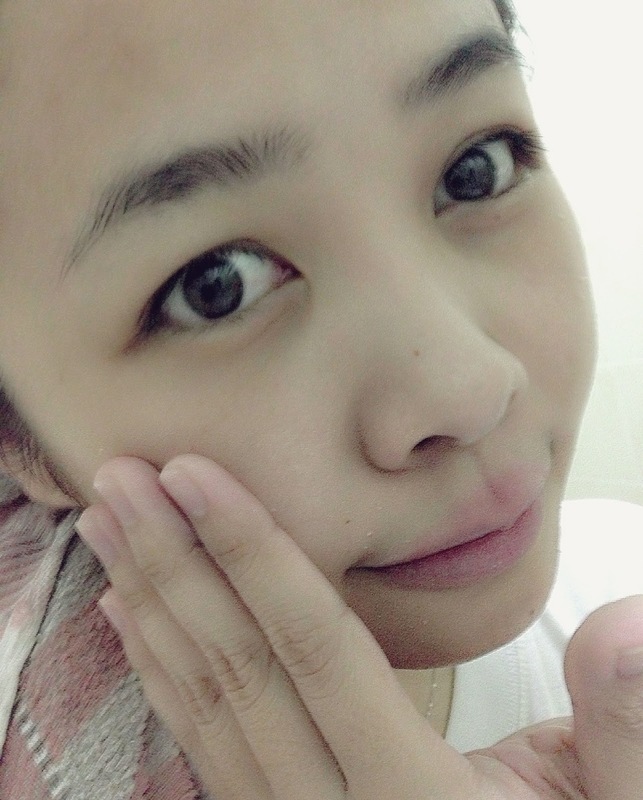 Cleanse your face with your routine facial wash and of course, remove your makeup first if you any. Dry your after wash face. 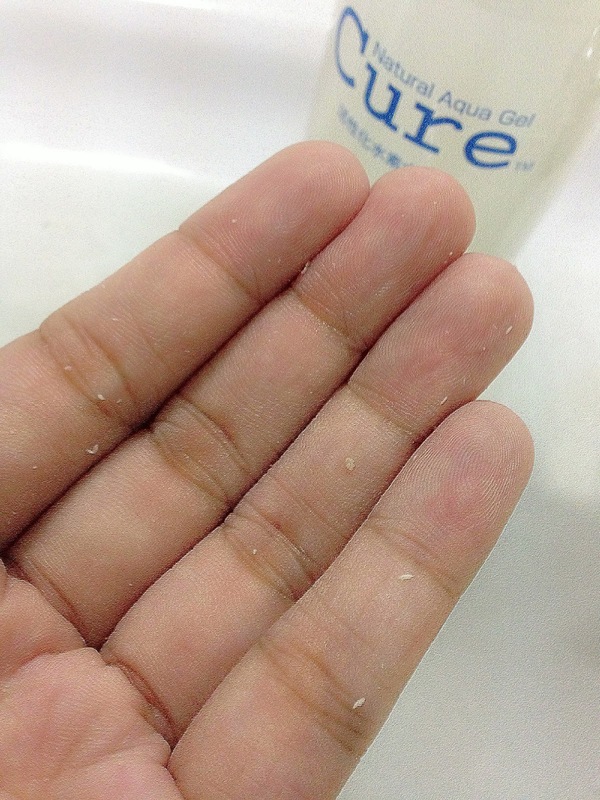 Pump 3-4 pumps of Cure Natural Aqua Gel to your fingers (for easier application). Apply evenly on to your skin. Be careful of dripping as its kinda watery (its made of 90%, of course its watery). You may leave it for 1-2 mins to let it set. Some of you may think that the white clumps are actually the gel itself but I honestly did a test on a mirror, and yes, its not clumping. No white clumps at all. So, what you see in the picture right now is my dead skin. When you are done with the whole face, rinse it off and apply your routine skin care product. 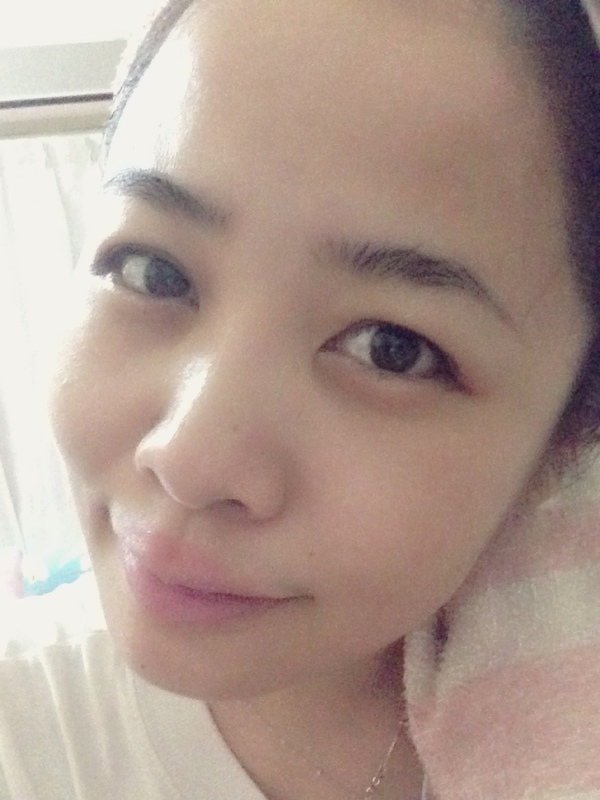 My face after exfoliating with Cure Natural Aqua Gel. No silky skin filter in this photo. What you see is what you get. 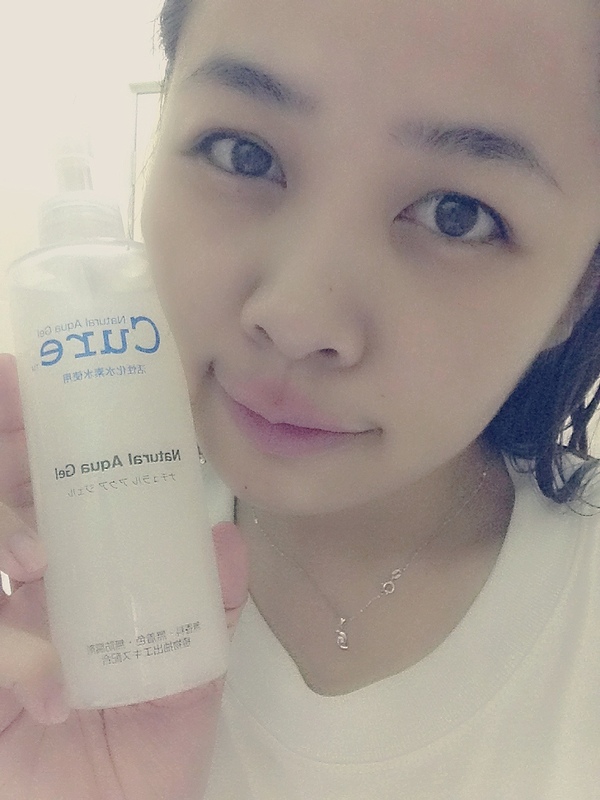 One bottle of Cure Natural Aqua Gel is recommended to be finish in 6 months as it has no preservative. Use it twice a week to keep your skin clean and smooth. 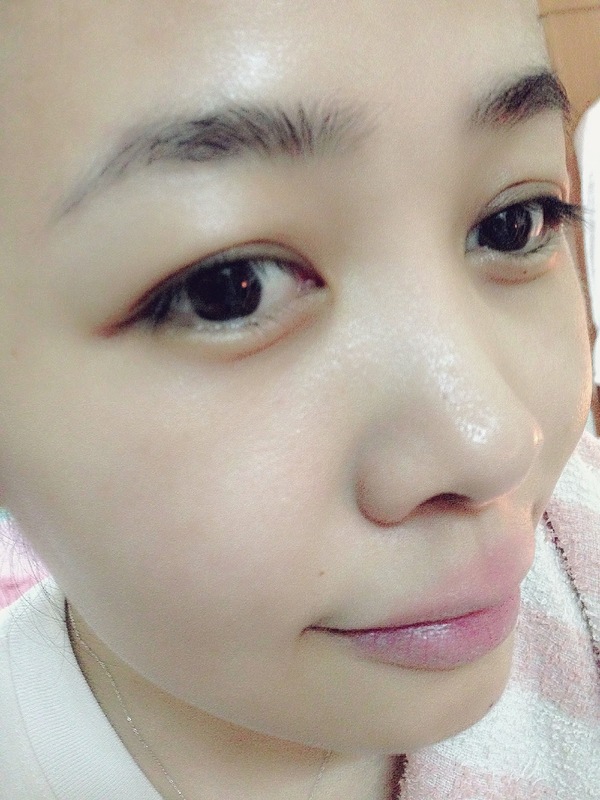 It is a Must-have basic skin-care product to prevent enlarged pores, blackheads, pimples, blemishes and dull skin tone. 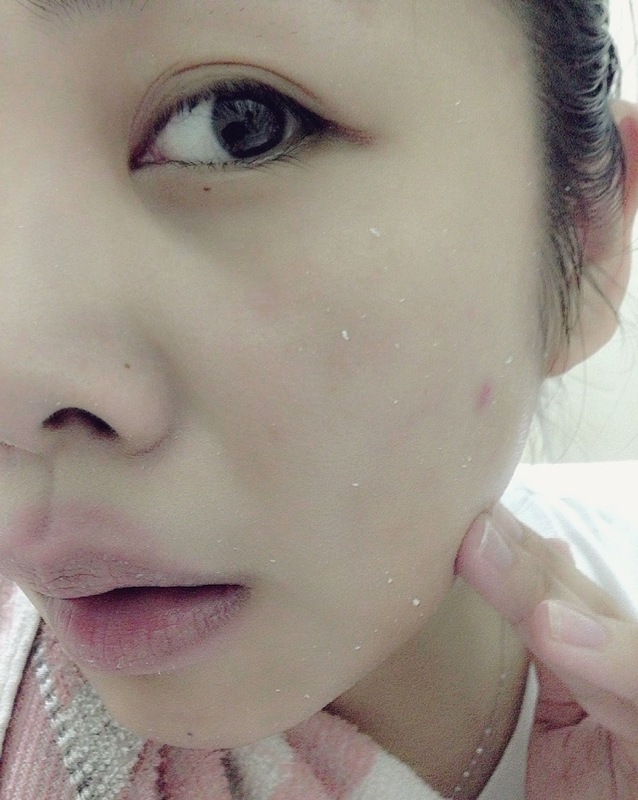 It is the Best selling exfoliator in Japan for reasons!